Ya Jagoff!!! | Pens Lose????? We dropped a @$#@, %$%#, ^(@*! !#!*!@#!!$#@A@#$@!!@I))*%! @!#@)(**#&^ three to nothing lead to the Blue Jackets??????? 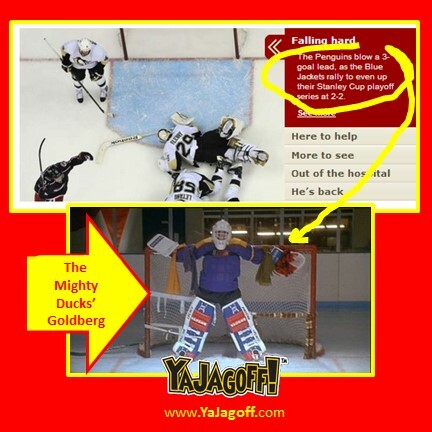 By the way, it’s not all Fleury’s fault! Someone learn how to play @, %$%#, ^(@*! !#!*!@#!!$#@A@#$@!!@I))*%! @!#@)(**#&^ defense, PLEASE! Ever See a Bucket-Spillin’ Jagoff? Jagoffs In Our House or Smart Rats?